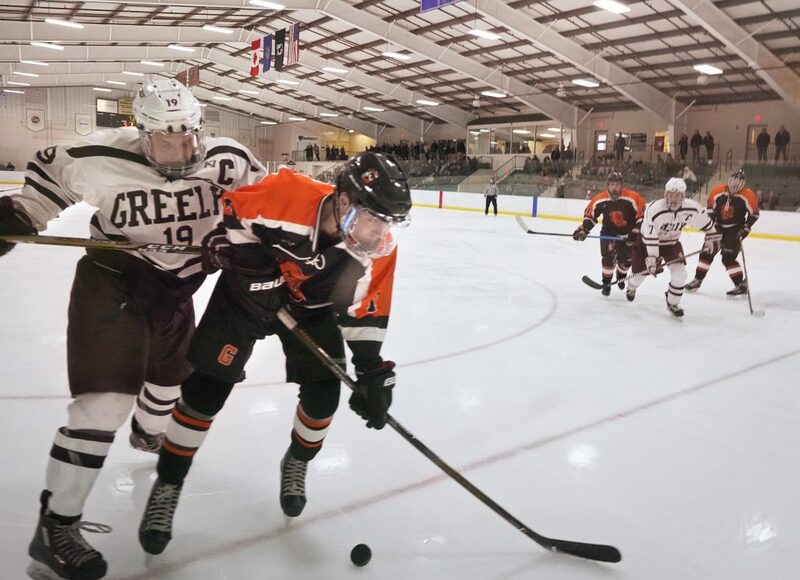 Andy Moore of Greely moves down the ice while being defended by Gardiner's Jon Flynn during the Rangers' 7-2 win Monday in Falmouth. 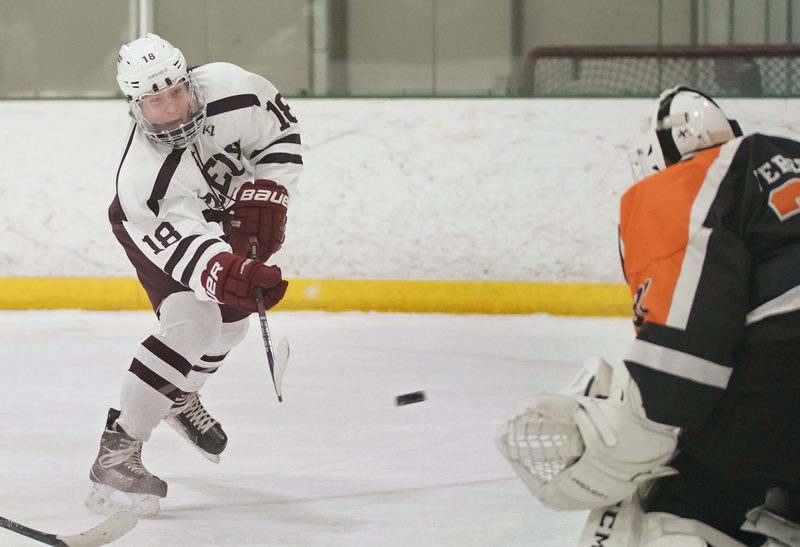 Jake MacDonald of Greely takes a shot on goal that Gardiner goalie Quinn Veregge blocked during the Rangers' 7-2 win Monday in Falmouth. 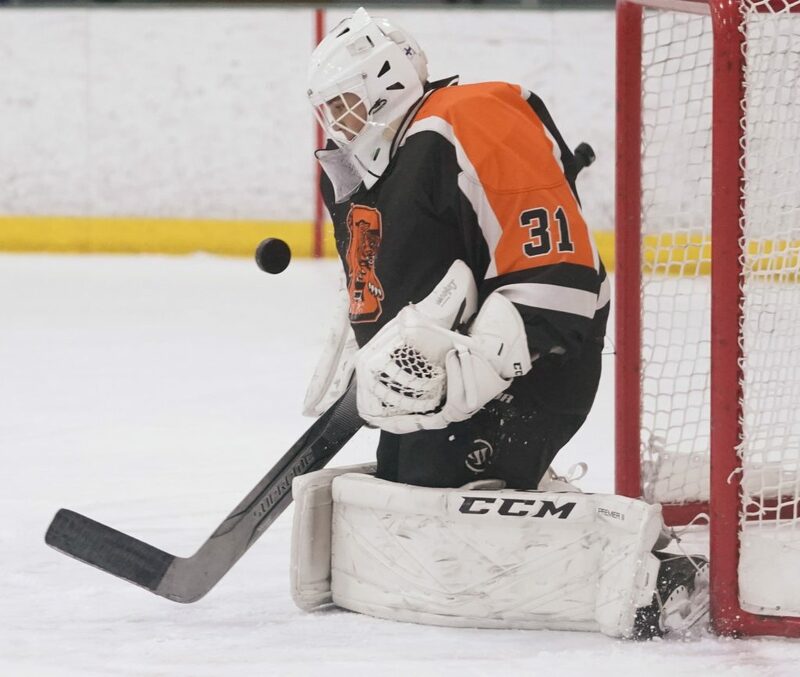 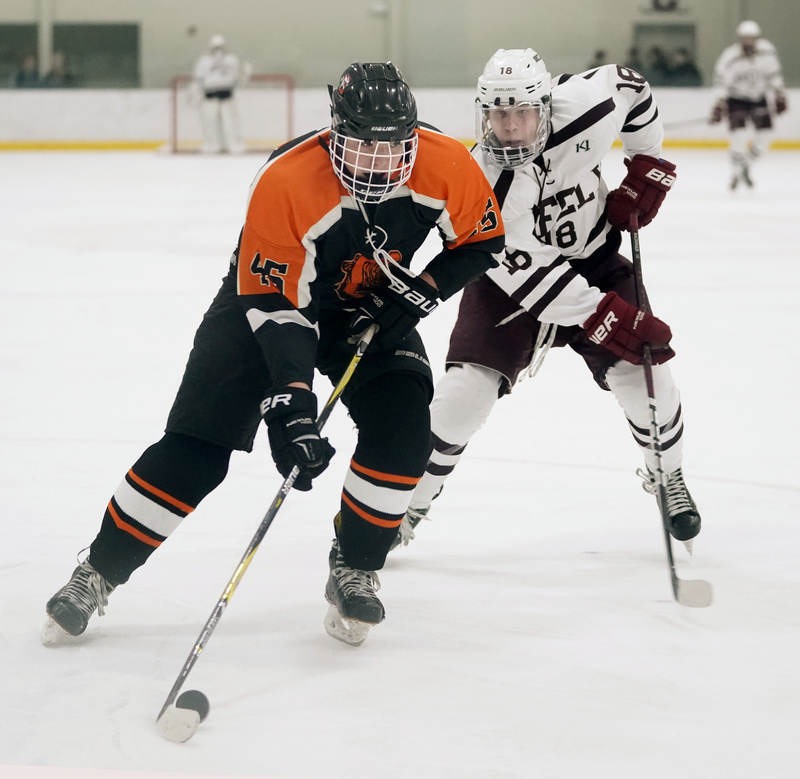 Gardiner goalie Quinn Veregge makes a save during a game against Greely during the Tigers' 7-2 loss Monday in Falmouth. 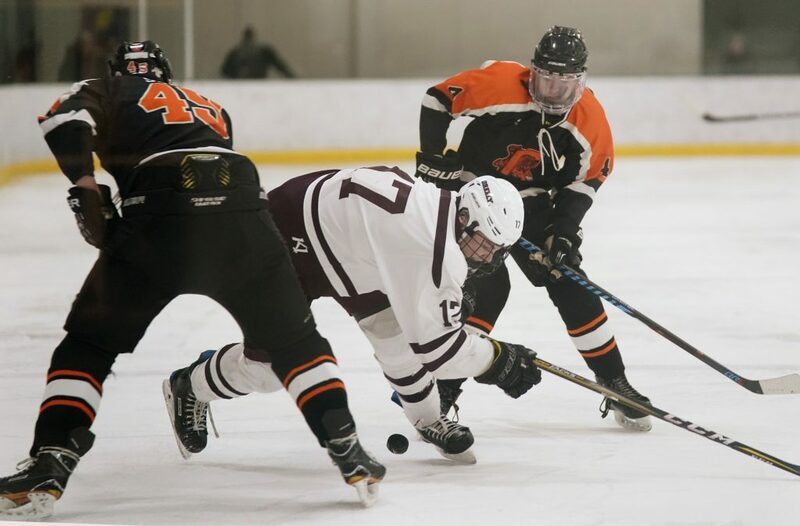 Peter Lattanzi of Greely begins to fall while trying to take control of the puck under pressure from Gardiner defenders Jared Shaw, left, and Sean Michaud during the Rangers' 7-2 win Monday in Falmouth. 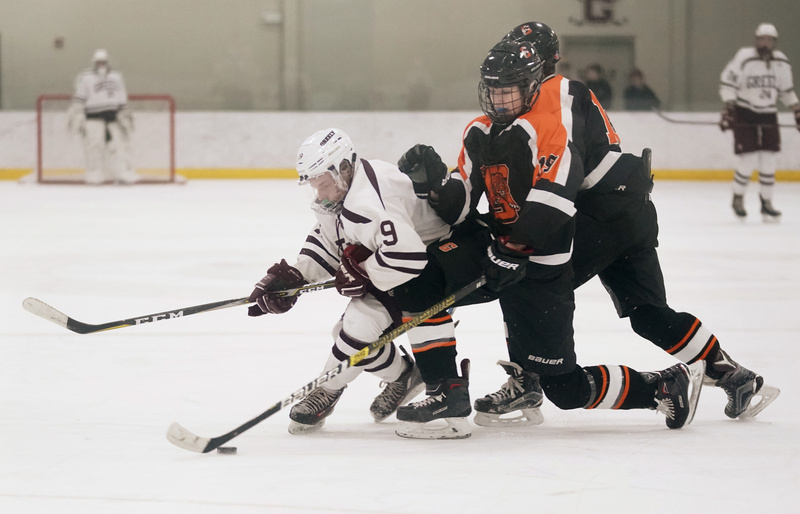 Peter Lattanzi of Greely, left, keeps Sean Michaud of Gardiner away from the puck while driving down the ice during the Rangers' 7-2 win Monday in Falmouth. 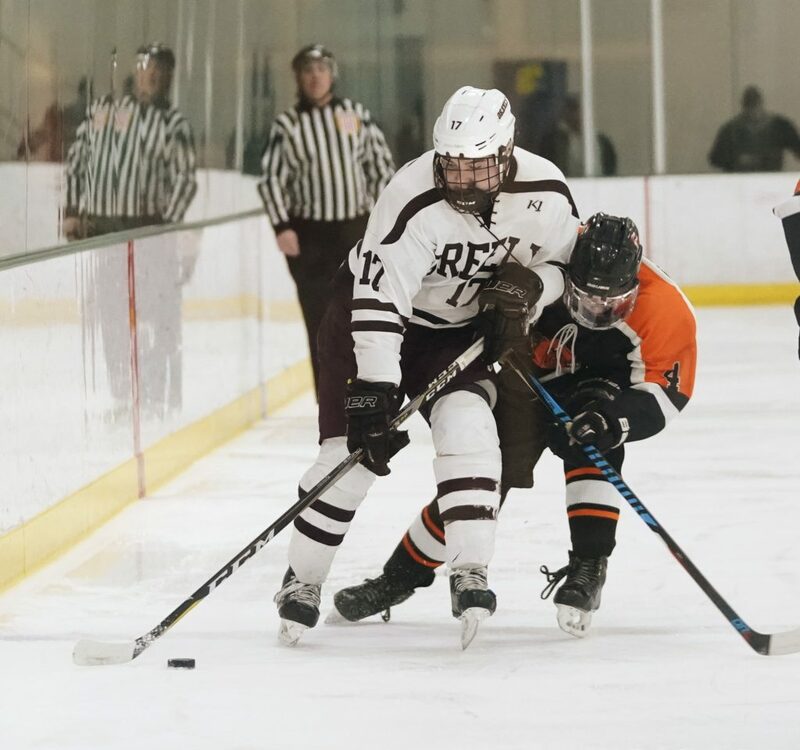 Darien Jamison of Gardiner, right, battles Jackson WIlliams of Greely for control of the puck during the Rangers' 7-2 win Monday in Falmouth. 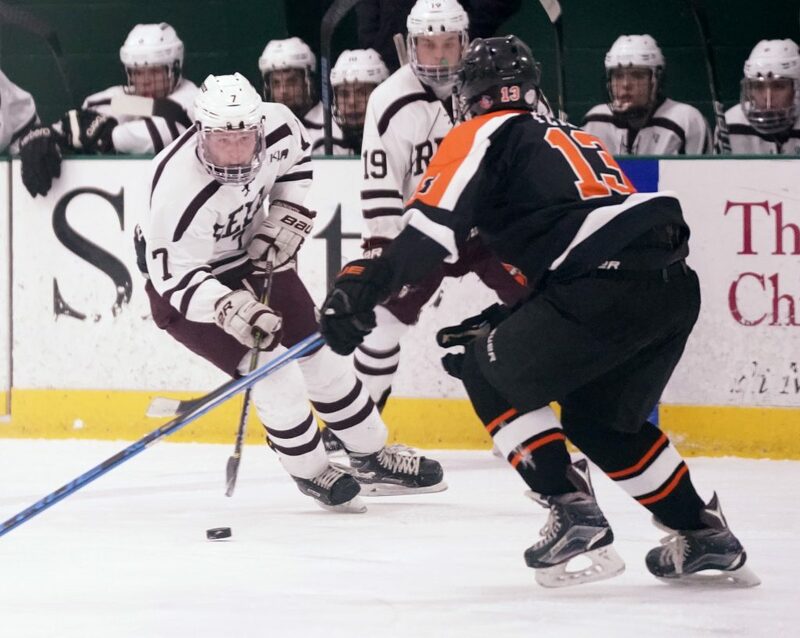 Jared Shaw of Gardiner tries to evade Jake MacDonald of Greely during the Rangers' 7-2 win Monday in Falmouth. Jake Weston of Gardiner, right, tries to move the puck away from Jackson Williams of Greely the Tigers' 7-2 loss on Monday in Falmouth.